The founders of MAPLE chose to start in Northern Uganda at that time because the Lord’s Resistance Army (LRA) had been defeated and had fled to the Congo and Sudan. Peace had been restored. After living for nearly 20 years in internally displaced persons (IDP) camps, civilians were returning to reestablish their livelihoods on their ancestral lands. Providing support for sustainable community development was and is of paramount importance for maintaining the peace in post-conflict regions. Today, MAPLE Microdevelopment Uganda operates two branch offices, one in Lira, Northern Uganda, and the other in Mbale, Eastern Uganda. We currently serve over 50 village based savings groups in hard to reach rural areas, including over 2000 members. Community managed savings groups are indigenous to sub-Saharan Africa and to Uganda. 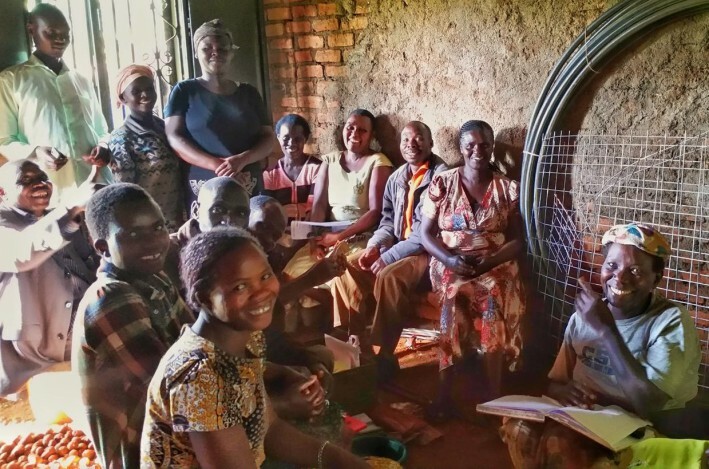 When MAPLE arrived in Uganda, it became clear through community dialogues that people wanted us to help them strengthen their own approaches to community banking. They asked us for education, not money, so they could generate more income, grow their self-managed funds, start new businesses, reach larger markets, and keep their children in school. Over time, as groups became stronger, many invited MAPLE to help them design linkages, through a membership-based model, to create additional funding for larger income generating projects.